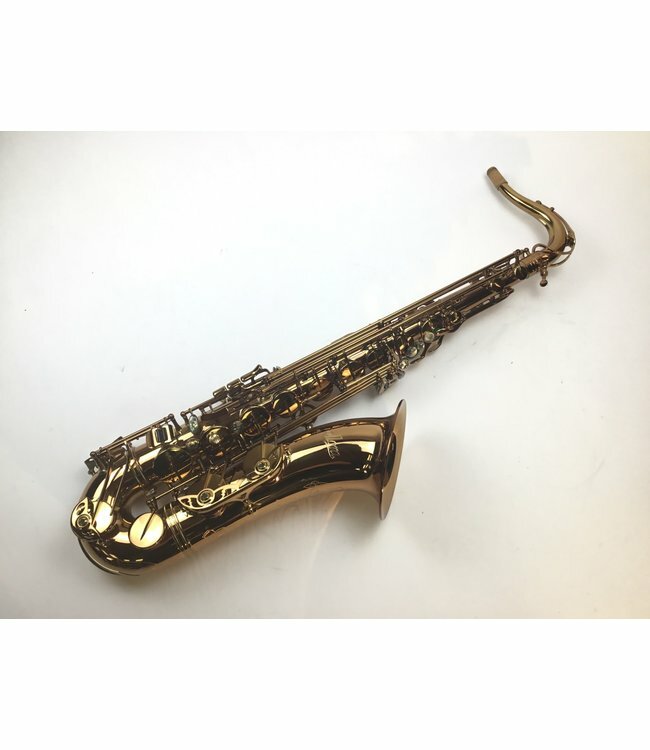 Used Allora AATS-954 tenor saxophone. Features dark gold lacquer finish on body, neck, bell, and keys. Ribbed construction, 85% red brass body, rolled tone holes. Big bell, High F# Double arms on low C, B, Bb. G brace. Pisoni pads. Hand Engraved bell and bow. Includes Case.